Academia involves travel, whether to attend a conference or to meet international colleagues. When you travel for work, it is not always practical or desirable to leave your children behind. Here we provide resources to make your next work trip family-friendly, from choosing the best airline to fly to picking kid friendly conferences and destinations. Subscribe to hear about new child-care grants and travel tips! 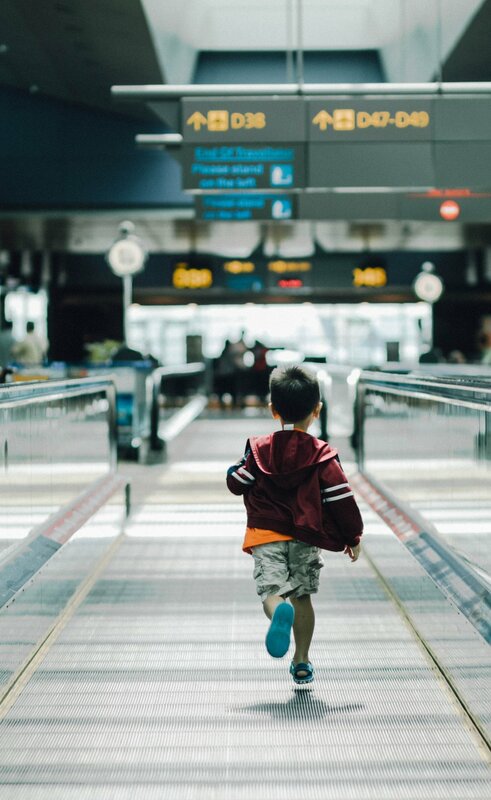 This blog piece from Parents Magazine provides some key things to consider and prepare for when you are faced with leaving your child at home when you go to a conference or on a research trip. To get a handle on whether conference organisers are beginning to take the need to be family-friendly more seriously, these articles look at initiatives to support parents at conferences and the prevalence of childcare at conferences across the US in 2018. Do you want to get your kids excited about joining you on the next work trip? This entertaining book for kids describes the adventures of two girls that join their mum at a scientific conference. This article explores the challenges of taking kids to conferences and how to make it work for you. The author also provides a list of funding opportunities focused on covering the childcare costs you may incur when attending a conference. Flying with a baby describes itself as the ‘utlimate guide to family travel’, and we certainly think it is a life saviour when travelling with a little one. It provides lots of guidance and tips, including a great summary table of different airlines and their bassinets so you can check whether your child will fit! When you travel for work with your kids, Bambino helps you find a local babysitter across the USA. Note we have not tested this app and in no way endorse their services. Crechendo is an organisation that specialises in providing childcare at conferences in Sydney & Melbourne. If you are organising a conference, this business may be able to help you. Note we have not used or tested Crechendo and are in no way endorsing their services. Accent is an organisation that specialises in providing childcare at conferences in USA, Canada & Caribbean. If you are organising a conference, this organisation may be able to help you. Note we have not used or tested Accent on Children Services and are in no way endorsing their services.